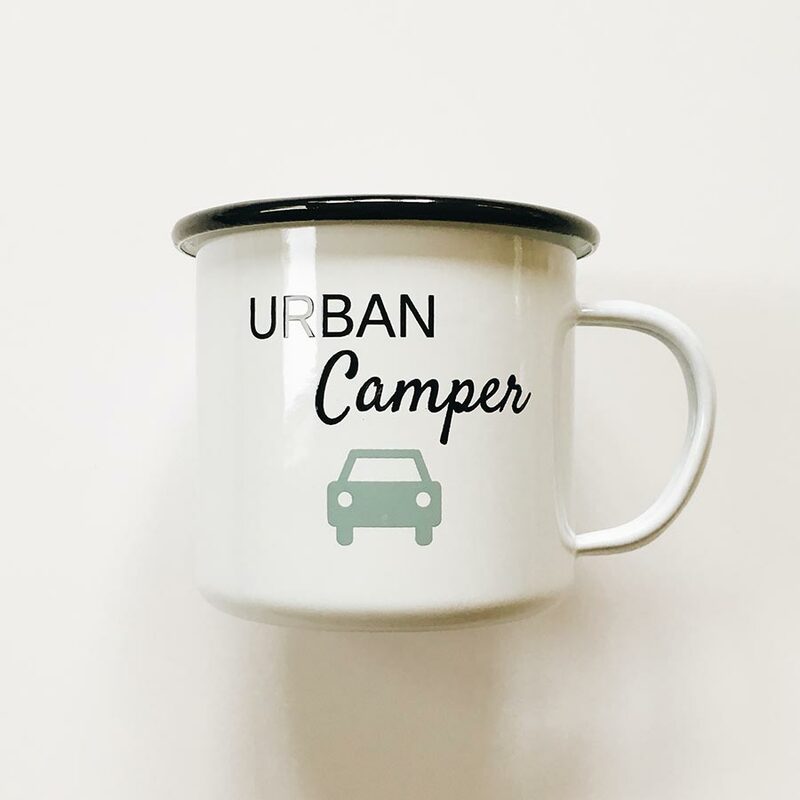 This Urban Camper steel mug is coated with enamel and is perfect for indoor or outdoor use. 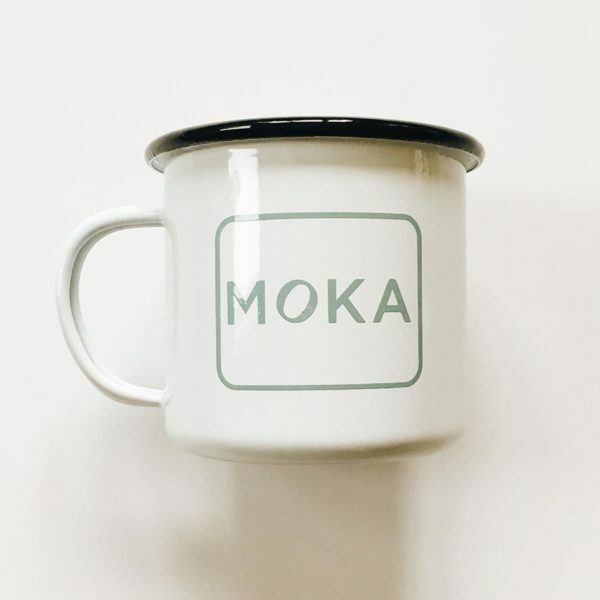 Holds 12 oz. 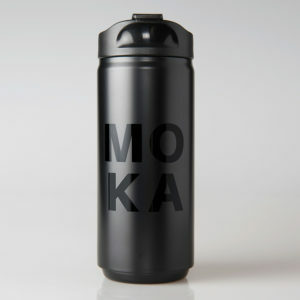 Hand wash.
MOKA Black Travel Mug – 12oz. 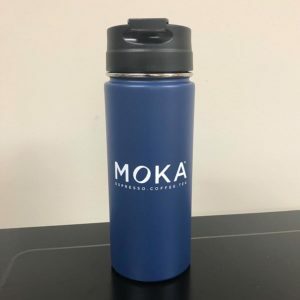 MOKA Navy Travel Mug – 16oz. 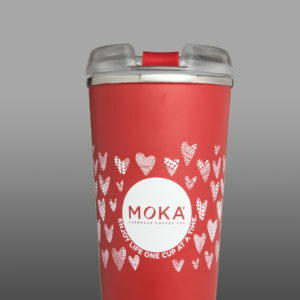 MOKA Red Tumbler with straw – 16.9 oz.